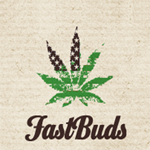 Fast Buds - Blue Dream´matic. Free US delivery. Blue Dream'matic is a 'true blue' budding machine which delivers a euphoric, relaxing and uplifting high. This 2017 autoflower creation stays true to the Blue Dream classic with sweet earthy notes at early growth, later joined by a sharp berry scent. The final flavor is the genuine article: a hint of pine/cedar and tart sweetness that leaves a slight dry mouth as the soothing, happy vibes take grip. The final harvest gives off a fantastically pungent, citric aroma that really gets you salivating! A sativa - indica blend (up to 75% sativa) that gives an intense head high before mellowing out into a body high - perfect for afternoon tokes. No couchlock here!